By 2020 the FAA anticipates the skies will open for about 7,500 private drones of about the size of model planes. What (IM)Possible things might they be doing up there? Chasing Storms. A team of public-private entities (NASA, NOAA, and Northrup Grumman) entered into an experiment dubbed “Global Hawk”. Global Hawk drones have a wingspan of 116 feet. They can fly for 30 hours at altitudes over 55,000 feet and up to 11,000 miles away. They provide surveillance and data collection inside storms where piloted planes cannot go. The idea, of course, is that knowing and understanding more about how storms develop will help save lives on the ground as well as reduce the financial cost storm damage creates. Safety Inspections. Drones are masters at finding structural flaws, not only because they can quickly and efficiently take high-resolution but also because they can get up close in treacherous spaces, such as the underside of an offshore drilling rig or the top of a cell tower. The technology could one day be deployed to spot-check roads, bridges, pipelines, dams, and other public works. That could allow for better use of limited tax dollars, and save hundreds of lives in the process. 3-D mapping. Military and government satellites currently provide 3-D mapping but drones can change that by putting 3-D imaging into private hands. Today’s drones are no longer run by a remote; they use GPS to navigate and they have a good safety record. The 3-D maps uses range from hurricane relief, to farmers managing far away crop-bearing fields, to mining companies managing open-pit mines, to security companies keeping tabs on large crowds. First Responders. Better yet, aerial footage provided by drones keeps early responders out of harm’s way. For example, in a SWAT scenario a camera-equipped craft can give officers a close-up look at a compound where hostages are being held—while they remain at a safe distance from the threat. Or a fireman with a thermal-­imaging drone and video-streaming capability over a four-alarm blaze can determine, in real time, where to direct his colleagues and where to help them avoid trouble. Wildlife preserves. US Department of Interior, Bureau of Land Management, and US Geological Service use drones to oversee animal populations and to map roads/wetlands in their land management duties. These agencies use government surplus drones like thermal imaging cameras to check on birds when nesting at night. And drones (in a project sponsored by Google and World Wildlife Federation) help authorities crack down on illegal poaching of ivory and rhino horns. The drones keep rangers out of harm’s way while bringing stability to areas where criminal gangs of poachers threaten national security. Progressive Farming. Precise application of fertilizers and pesticides, possible with drones, is better for the environment and saves the farmer money. 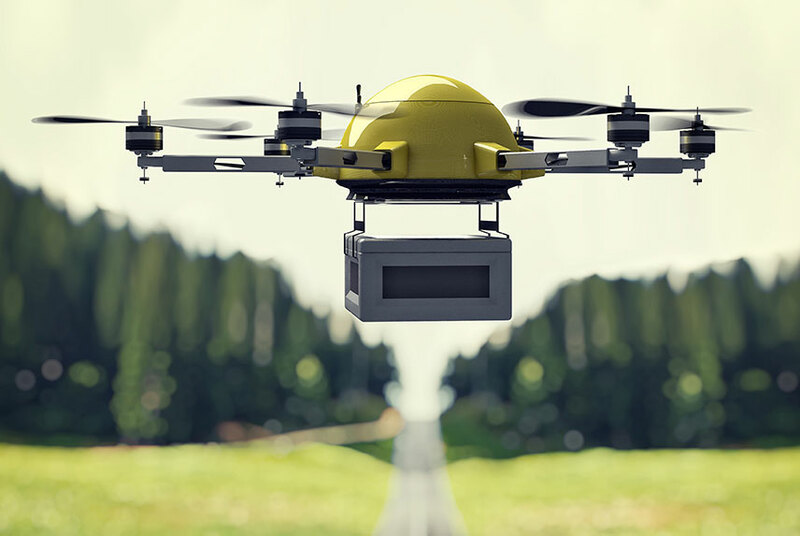 Drones identify the fields that need the chemicals (or water) and can deliver their payload with pinpoint accuracy. Drones with infrared cameras can monitor plant health by reporting back on the efficiency of a plant’s photosynthesis. Humanitarian Aid. According to the World Health Organization, an estimated 2.1 billion people on the planet don’t have access to essential medicines due to remote access. California drone maker Zipline has launched “Zip” drones, which cover a roughly 50-mile radius and can send a text message to order blood for a patient in need and it shows up via parachute within 40 minutes. Internet Access. Well over half the planet’s population currently has no internet access. That means no Facebook or Twitter, of course, but also no email, no world news, and no access to online commerce. More than one notable Silicon Valley fixture is looking to change the game lightweight drones that will cruise high above normal airspace delivering connectivity to people within as much as a 60-mile radius. As some early setbacks indicate, this is not an easy problem to solve. But it’s one that could pay off immensely if they can be among the first to help connect a new generation of internet users around the world. I give that a “like”.